If you have ever stayed at a hotel and took advantage of their indoor gym then you know how great it is to roll out of bed and walk down a hall a few feet to workout. That might have been the inspiration for you to set up your own home gym. 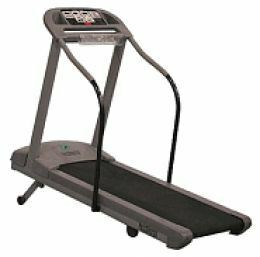 You had the space in your garage or spare room to put in a treadmill and perhaps some other exercise machine equipment. Then you were good to go. What happened? Over time those good intentions faded away and you were staring at those bulky pieces of equipment with zero motivation for using them. Just owning gym equipment isn’t going to help you shed those pounds. This is why you should give a second thought to joining a gym. The benefits of joining a gym can be summed up in four major points: Motivation, support, classes and equipment. Consider the equipment you’ll find at the typical gym. There will be plenty of variety to choose from. Whether you’re working cardio, machines or free weights you’ll be able to move from circuit to circuit without ever getting bored. Along with the variety of equipment you should find a gym that also has a wide assortment of classes for you to enroll in. Most gyms offer these classes as part of the membership. These are wonderful experiences which guarantee you’ll get a complete, structured workout. At the same time you’ll be meeting like-minded folks who are focused on the same goals of getting into shape. That brings up the issue of motivation. If you’re paying a monthly fee for a gym membership you’ll be more likely to use that membership so as not to let it go to waste. Carving out time to go to the gym several times a week is going to have you feeling a lot better and its great bragging rights, too! As for support, you’ll get that in abundance at the gym whether you hire a personal trainer or not. There will always be somebody on hand to show you the ropes literally and figuratively. This will insure you’re working out the right way. Now what about all that old gym equipment? It’s time to say good-bye and Junk King Capital District can pitch in to help. They are the professional junk removal specialists who can certainly handle getting rid of an old treadmill or rusty weights. While the Junk King crew is loading up that gym equipment they can also take away any other oversized item you want to finally toss out. Think of all the space you’ll be getting back. Don’t wait until after the holidays to get in shape: start today and have a “new you” by New Years. This entry was posted in Albany Appliance Disposal, Albany Junk Hauling, Albany Junk Removal, Junk King Capital District and tagged Albany Appliance Disposal, Albany Junk Hauling, Albany Junk Removal on October 29, 2012 by Todd Porter. Last updated August 1, 2017 . Of course, for anyone living here in Albany this wasn’t necessarily “breaking news.” Folks just had to look out of their window to see the drastic change in the weather. In fact, we’re coming off a summer of extreme weather. There wasn’t an area of the country that wasn’t impacted in some way or another whether it was from heat waves, drought or hurricanes. What’s the weather outlook for the future? More of the same. Albany residents can brace for a fierce winter with the potential of major snow storms. Welcome to the new climate reality! One way to get prepared for the coming fall/winter storms is to make sure the debris from the last storm is cleared away. If you woke up to find some unwanted “items” in your back or front yard it might be time to give Junk King Capital District a call for the removal chores. Junk King is the local Albany business that specializes in after the storm landscaping cleanup. 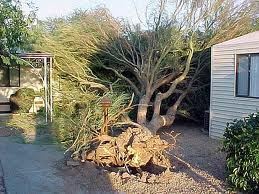 In fact, they can handle pretty much any type of cleanup but it’s that storm debris that should be removed ASAP. A passing storm could also play havoc with things like patio furniture, kid’s play sets, grills and anything else that isn’t nailed down in your yard. If any of those items got ruined then get rid of them with Junk King. While you’re at it, Junk King can also clear out any clutter from inside your home or garage. This is a great way to gear up for the holidays. Keep the Junk King Capital District phone number handy (1-800-995-5685); you never know when you might need to make that call! This entry was posted in Albany Junk Hauling, Albany Junk Removal, Troy Junk Removal, yard waste disposal and tagged Albany Junk Removal, Albany Yard Waste, capital district hauling, Junk King Capital District, Landscaping Cleanup on October 17, 2012 by Todd Porter. Last updated August 1, 2017 .